Today we are proud to announce that Steve Hamric will be joining TeraThink as our new Chief Financial Officer. Steve will oversee all finance and contracts aspects of TeraThink, including financial planning, management, and reporting operations. We are thrilled to have Steve on board at TeraThink as we enter the next phase of our company’s evolution. His experience will help us to play a stronger role in the industry. Last November, we announced our merger with Dominion Consulting, a technology and management consulting firm specializing in Agile development and IT modernization. Last year combined, we saw nearly $80 million in annual revenue evenly allocated across defense and federal civilian customers. Those customers include Washington Headquarter Services, The Joint Staff, DLA, DOJ, DHS, and USDA. It is a thrill to join TeraThink at such an important and exciting time, as the integration of two successful companies continues. I have tremendous respect for the work Paul Lombardi (TeraThink Chairman of the Board), Dan Maguire, and their teams have done. I look forward to putting my skills and experience to work to help TeraThink achieve our goals. 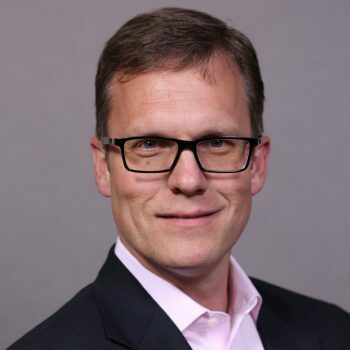 Steve joins us after nearly eight years as the CFO and Senior Vice President of iGov, a federally-focused Professional and IT support services company. There he oversaw the restructuring of the firm and created an employee stock ownership plan (ESOP). Prior to that, he served for seven years as the CFO of Athena Technologies, Inc.
TeraThink’s transformation into a significant player in the industry has taken a step forward today. I look forward to our continued growth with Steve on the team. With his 20+ years of experience in leading the financial operations of similar-sized government contractors through growth periods, Steve will be able to make an immediate impact upon our success.